WILA introduces the Smart Tooling App (Android and iOS) for the tool management of press brake tooling. The Smart Tooling App allows WILA customers to experience the advantages of digitalization and data connectivity: access to tool data anytime, anywhere; major time savings; error-free tool data entry and simplified stock management. All WILA New Standard Premium tools have a unique DM-code. With the WILA Smart Tooling App you can scan all tools at once, using the DM-code on the box or scan each tool separately. After scanning the DM-code you have immediate access to the tool’s specifications and the correct tool data files for your press brake control. Share this tool data directly to your cloud and add the tool files to your press brake control! If you already have WILA New Standard Premium tools without a DM code, it is possible to add these tools to the Smart Tooling app. Click here for the DM codes. The Smart Tooling concept contains a lot more than just the Smart Tooling app. A Bluetooth module will be integrated in our TIPS* smart clamping systems. 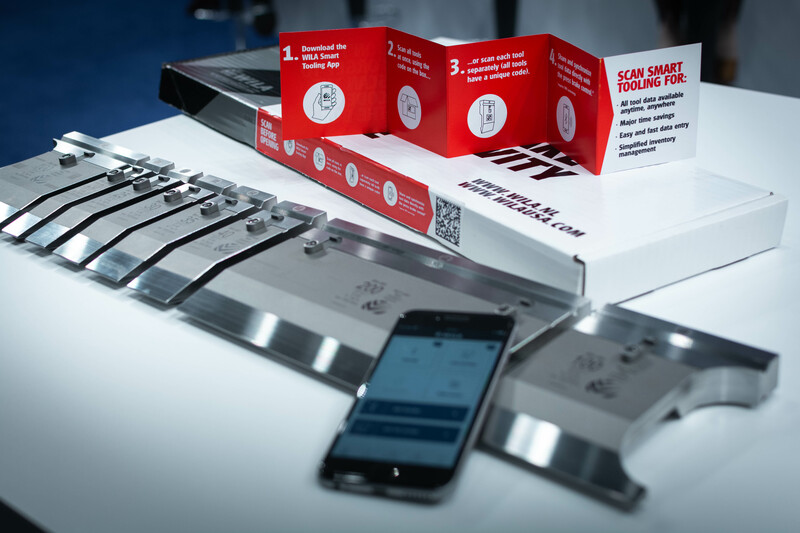 With this TIPS clamping system you can scan and add your TIPS system with the Smart Tooling app via the Bluetooth connection for full integration with your tool data. Afterwards you can synchronize the tool data in real time to your press brake control via the Bluetooth connection in the clamping system, saving valuable production time. The WILA Smart Tooling concept adopts a step by step approach to take press brake tool management to Industry 4.0 standard. Take the first step by downloading the WILA Smart Tooling App!